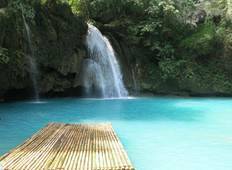 Find a Discovery trip that explores Philippines. There are 17 tours to choose from, that range in length from 5 days up to 20 days. The most popular month for these tours is November, which has the most tour departures. "I had the best time and I’m so happy we did this, Jason was very professional and..."
"Had a fantastic time on the Wanderlands Philippines tour! El Nido and swimming with..."
"I really enjoyed this tour. I thought that it was really well structured. We got..."
"Everything is better in the PHILIPPINES!! Like the slogan says it rings true every..."
"The Lanka Challenge was an unforgettable holiday. 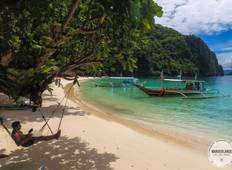 A perfect mix between adventure..."
"micro travelin in ze north of the Phillipines is like reading about jungle book ...."
"These guys provide the best holiday and adventure experiences I have ever had the..."